Take CO 36 to 287, and go north. At Midway, turn right (east). Turn left at Main, heading north. Turn left on Eagle Way. The Cemetery is on the left. Before there was a Broomfield, there was a railroad. In 1873, the Colorado Central Railroad developed a line north from Golden. This line ran along where the south frontage road of U.S. 36 currently exists, and then swerved south toward Golden, just east of Wadsworth Blvd. The area currently known as Broomfield grew from a railroad spur used to transport grain from the rural farm country, much of it owned by Adolph Zang, to the Zang Brewing company in Denver. The little line was know as "Zang's Spur." You can see remnant's of this "original" name in the form of "Zang's Spur Park," located to the west of Highway 287. Zang came to the area in 1885, and eventually owned 4,000 acres of land where he bred horses, developed fruit orchards, and, according to some, raised turkeys. The Zang family owns a plot in Lakeview Cemetery, but no marker exists. The name "Broomfield" is a reference to the city's rural past, where fields of "broom straw" grew as far as the eye could see. 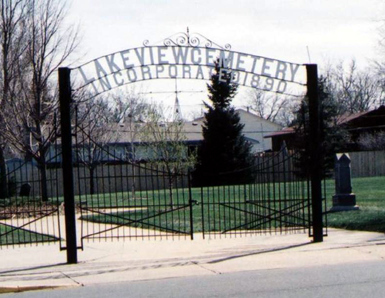 Lakeview Cemetery was incorporated in 1890, is located on Eagle Way across from Broomfield High School. It is owned and operated by the City and County of Broomfield, and is a working cemetery. The farmland area became a community when, in 1898, the area residents formed the Cresent Grange. This led to such signs of settlement as postal service and commerce development, as well as social gatherings and events. The area began its first major growth spurt in the 1950s when the Boulder turnpike (highway 36) was being built. The city of Broomfield was incorporated in 1961. Most of the graves in the cemetery are unmarked. 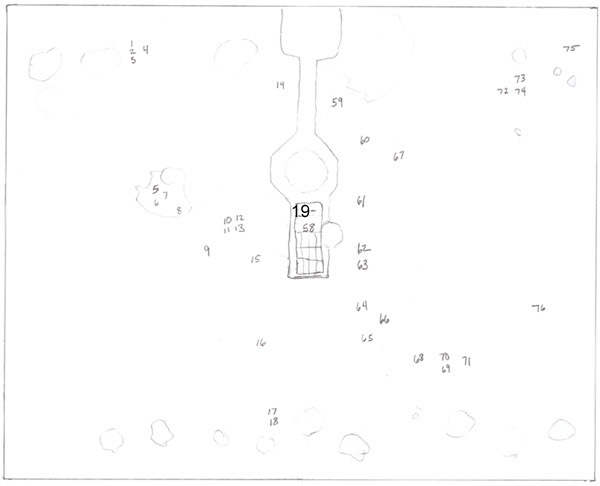 The largest number of markers is in the central in-ground columbarium/vault. When the city opened the new Broomfield Commons Cemetery, Lakeview Cemetery was limited to accepting only cremains. The earliest marker is from 1889. Overall Condition: Fences are in excellent repair, grounds are neat and tidy. This cemetery is very well maintained. *Excluded from the listing below are the reserved slots for people without death dates, assuming that they are still living. Note: Broomfield only became a county in 2001, so "county" records prior to that date are from the parts of the four original counties (Adams, Boulder, Jefferson and Weld). If you are looking for family records prior to 2001, you'll need to know the original county. In 2003, a new cemetery, Broomfield County Commons, was opened. Eventually, the cemetery will be 10 acres, but currently, only 3 acres of the site are completed. The cemetery is also maintained by the City and County of Broomfield. Visit Lakeview Cemetery, with photos.